The Republic of Molossia has long held cookie dough as a staple of our diet, a base for our money and a pillar of our national culture. This pillar was shaken recently as a crisis developed in the neighboring United States regarding cookie dough. The U.S. Food and Drug Administration said Friday, June 19th, that, since March, 66 people in 28 states have fallen ill with symptoms caused by E. coli bacteria after eating Nestle Toll House cookie dough raw. About 25 people have been hospitalized but no one has died. 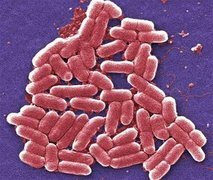 E. coli is a potentially deadly bacterium that can cause bloody diarrhea, dehydration and, in the most severe cases, kidney failure and even death. Nestle USA voluntarily recalled all of its Toll House refrigerated cookie dough products after the FDA advised consumers to throw away any Nestle Toll House cookie dough products. Here in Molossia, the impact has been less than it could have been, largely because we use Pillsbury as the source for our cookie dough, not Nestle. But for that, the situation could have been grave, considering the extent to which cookie dough factors in our national personality. Nevertheless, the Molossian Ministry of Junk Food is on high alert and has temporarily suspended the import of all brands of cookie dough from the United States. Efforts are under way to manufacture our own cookie dough to fill the void. In the meantime, the Ministry of State Security and Walrus Prevention is investigating the cause of this outbreak. Under consideration is a theory that the cookie dough was deliberately contaminated by East German saboteurs seeking to cripple our nation and thereby win the ongoing war against that nation. Regardless, Molossia remains as yet unscathed by this crisis and ever vigilant against this threat to our very culture.